• 6-week, 4 sessions/week (24 Total training sessions) plan with an emphasis on Strength and Work Capacity. 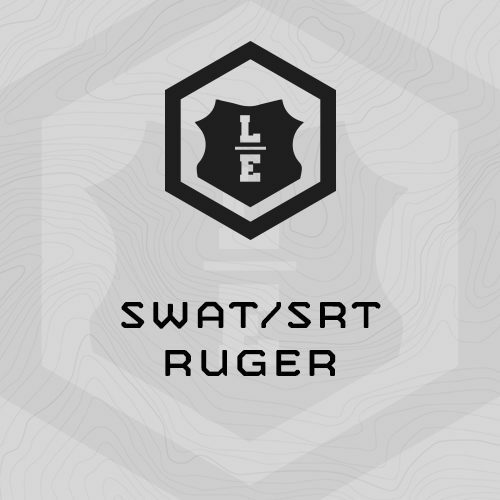 “Ruger” is the first plan in our weapons maker series of plans for full time SWAT and SRT Teams. Ruger deploys our most recent programming theory for LE SWAT/SRT Athletes. 6) Endurance – Especially needed for SWAT/SRT Units with rural mission sets. Ruger is a 6 week, 4 session/week (24 Total Training Sessions) plan with an emphasis on Strength and Work Capacity. Chassis Integrity, TAC SEPA, Endurance and Stamina are also trained, but the emphasis for Ruger is strength and work capacity. Note: Many of the weight training exercises in the plan can be completed with either a barbell and plates, or dumbbells/kettlebells. For example, if the session calls for power cleans, and your unit doesn’t have a barbell/plates, you can substitute dumbbells and complete hang power cleans instead. We recommend LE Athletes train at their duty stations, directly before their shift or duty day. Why? So others can see you training, and see that it can be done. Who knows – they might join you and together you’ll begin to build a culture of fitness at your unit. As well, training at your duty station, directly before your duty day will help limit your work-specific training to the work place, and help address the burden of constant fitness over the course of your career. (3) 17 Rounds, Every Minute on the Minute …. At 25m, turn 180 and drop to Prone. (2) 15 Minute Grind ….